Let’s delve right into the beginnings of retro photography. In 1824, Nicephore Niepce used a tool known as heliograph to produce the first photo – which is actually the oldest trace of photography that we have to date. This process was the first step into an evolving technique (and later technology) that no one could have predicted – and a technology that is so advanced nowadays that it is unimaginable to compare it to years or decades before. Even though the roots of photography have been set in the 19th century, the technique saw most of its development and actual practice during the 20th century. For that reason, we are focusing on three specific periods in the evolution of photography – the 1960s, the 1970s, and the 1980s as the years that redefined photographs as we know them. The 1960s were an era when the term ‘conceptual photography’ was first born and began to be used. This process coincided with the early explorations into video art and Conceptual art during the Conceptual movement. In practice, artists began exploring conceptual photography as a means to stage an idea – rather than to shoot a subject and capture a moment. They first started exploring the motives of photography and its actual implementation in advertising. The images were used to convey a clear concept, often using actors or props. The range of photography during this era has diversified hugely. After the end of the World War II, every country found itself in a need of reinvention – which is where the modernism in photographers were born and when the countries began rebuilding economically, culturally and socially. Aside from artists, many people took their cameras outside and created memorable photos of wildlife, people as well as initiatives. They also started offering photography as a commercial service – which is how many albums, magazine, and newspaper covers emerged in this era. 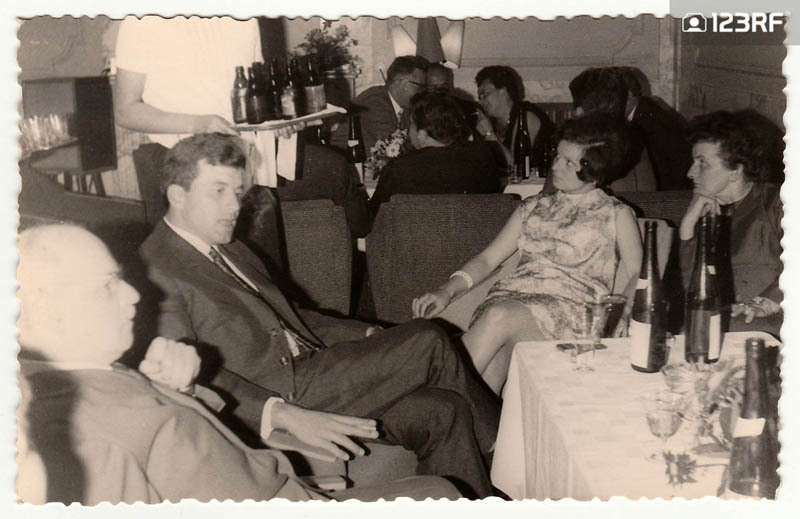 THE CZECHOSLOVAK SOCIALIST REPUBLIC, 1960: Vintage photo shows a group of people in a restaurant, 1960s. 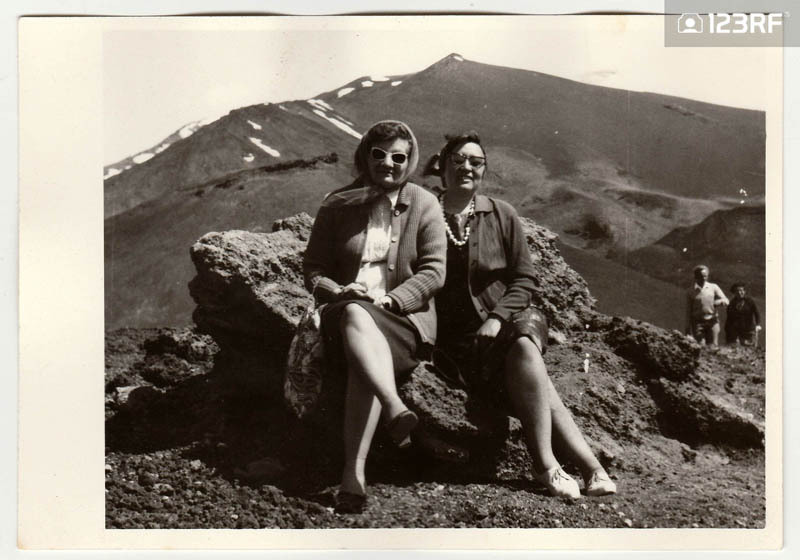 ITALY, CIRCA 1960s: Vintage photo shows people on vacation, circa 1960s. 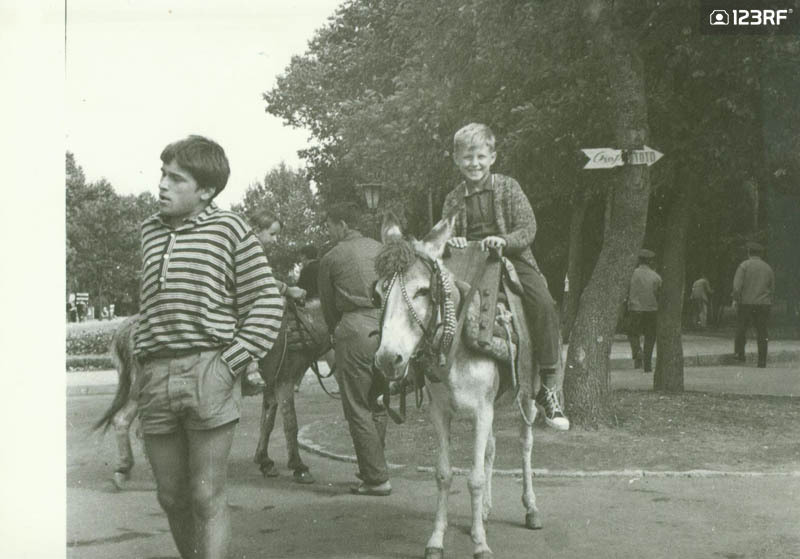 USSR – CIRCA 1970s: Retro photo shows boy rides on a donkey in the park. Vintage black & white photography. Color photography was in the focus during the 1970s. Even though there were many additive color screen products available between the 1900s and the 1950s, color really got improved during the 1970s – which is best seen through the best works of this era. As a time of great change and turmoil for the world at large, the political upheaval was huge in America, and the rest of the world was encapsulating the turbulent times. However, this period was also one where smart cameras were first introduced – capable of making image control decisions on their own. The “point and shoot” cameras calculated the shutter speed, aperture as well as focus, leaving photographers free to focus on their composition. They became immensely popular with casual photographers as well – which is why the 1970s are known as the birth of casual photography as we know it. Street photography evolved a lot during the seventies. Many people were taking their cameras out on the streets and capturing moments, motives and presences. This has put streets and public places on top of the list of meaningful locations for photography. The hippie communities, known as ‘secretive and misunderstood’ also followed this practice throughout their initiative that directly opposed segregation and inequality. 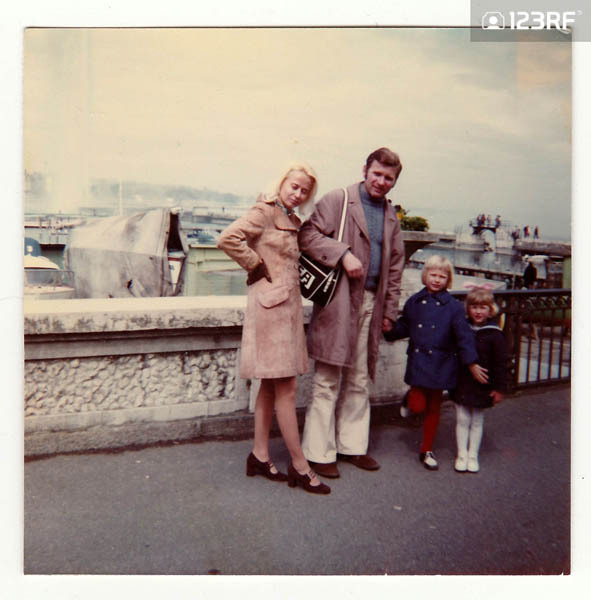 Switzerland, circa the 1970s: vintage photo shows family on vacation. 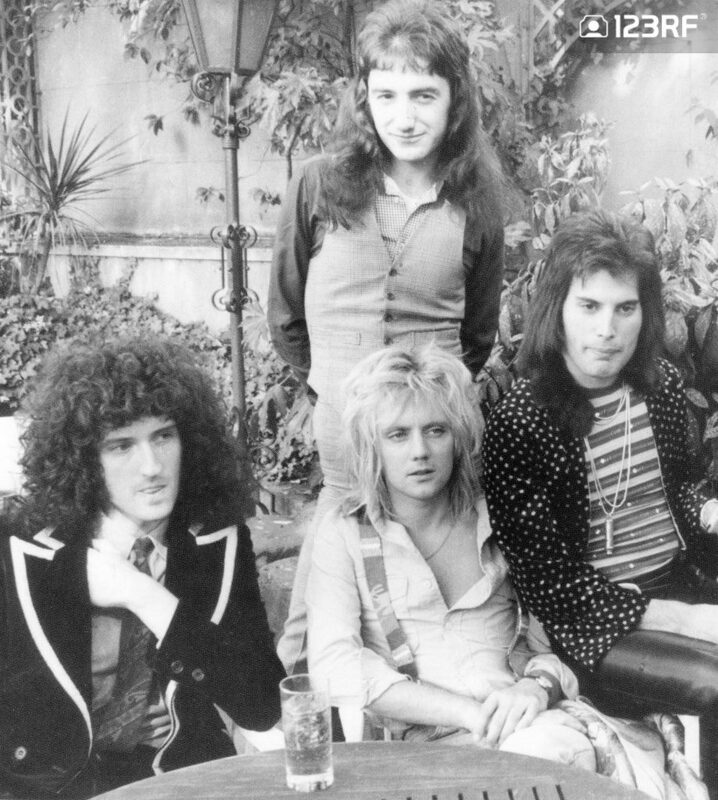 Queen, UK in 1976: Brian May, Roger Taylor, John Deacon and Freddie Mercury. The 1980s paved a revolution in culture, music, and fashion. As a technique that was evolving into a technology, photography was following this revolution. Media was being presented in ways never before imagined – creating one of the most creative and innovative times in history. It seems like everything was changing for the better during the eighties. The world of photography followed, growing up and changing the world. With the digitization of music and new media channels, photography managed to evolve and not be put in second place. In the 80s, everyone wanted to be a part of the technology and all the great things that were happening. With a collective creativity put on a high level and photography evolving more and more, more people started picking up cameras and there were suddenly more photographers than ever before. From the birth of paparazzi to amateur photographers shooting in hopes to get their photos sold, inspiration was key during this era – which resulted in some of the most unique and creative photography that has ever been done. 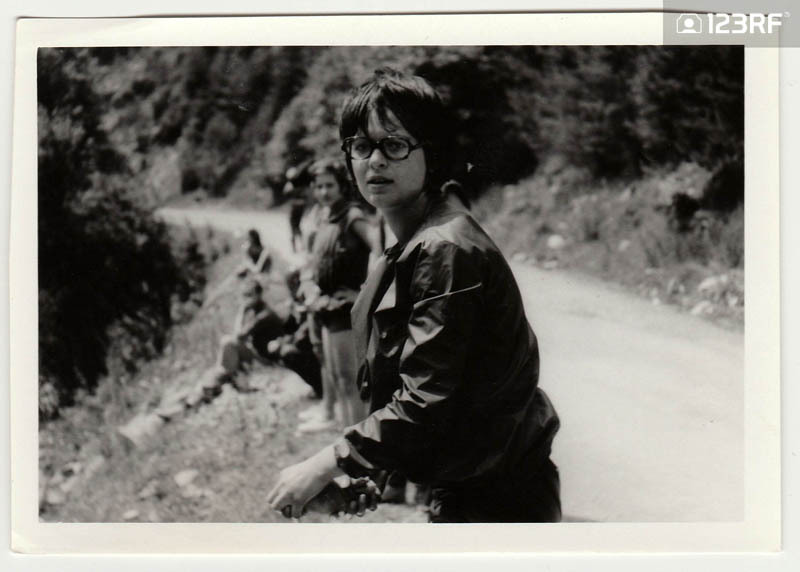 THE CZECHOSLOVAK SOCIALIST REPUBLIC – CIRCA 1980s: Vintage photo shows young boy with glasses outdoors. 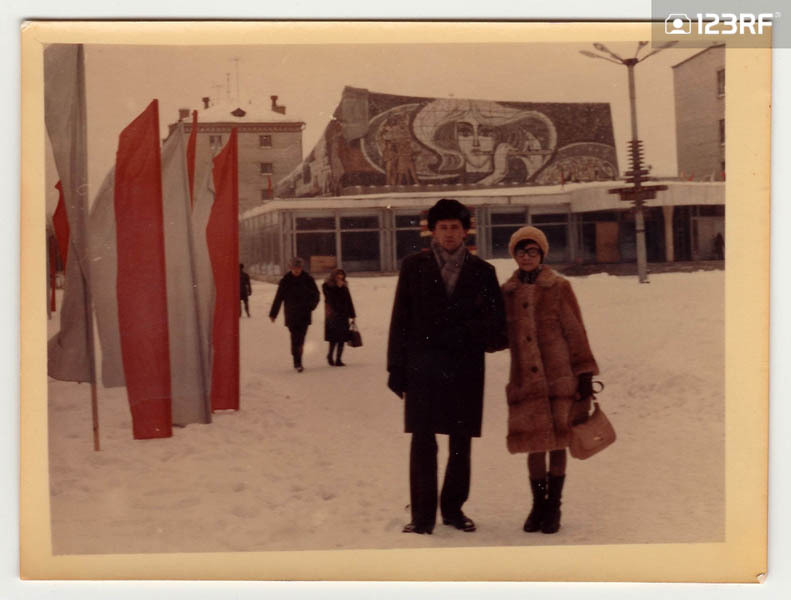 USSR – CIRCA 1980s: Vintage photo shows a couple poses on street in winter. 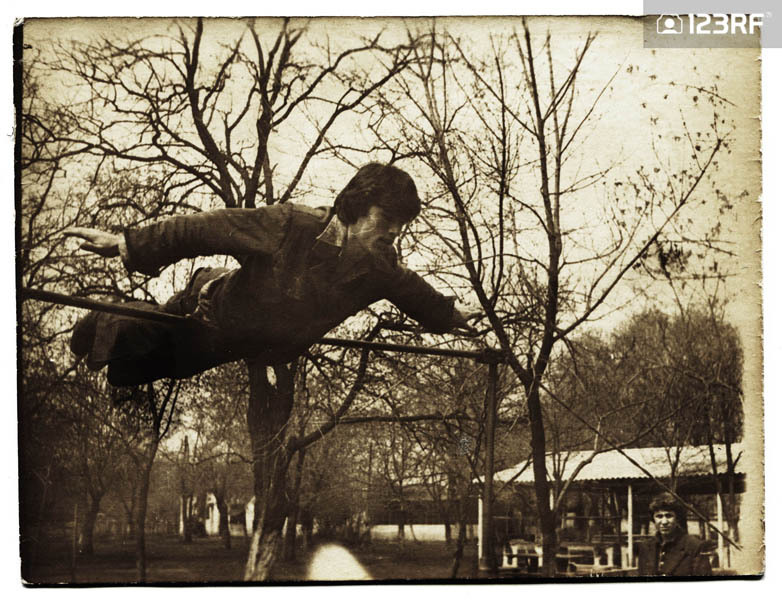 USSR – CIRCA 1980s: An antique photo shows young man balancing on a bar. Even though we all think that the 1960s, 1970s, and 1980s were just ‘a couple of decades ago’, it is now more than 50 years since the birth of conceptual photography (1960s) and the evolution of photography as we know it. In a world where technology is always in the focus, the 2000s are a time when we should all praise the beginnings of photography and its evolution, especially during these (crucial) decades. We hope that this article will help you see and explore the true dawn of modern photography as we know it. Discover more retro photography from these periods on 123RF.